Swami Vivekananda Biography: This year we are celebrating the 155th birth anniversary of Swami Vivekananda and this day is known as Swami Vivekananda Jayanti. Swami Vivekananda was a follower of Vedanta Philosophy of Hinduism and modern Hindu saint. He was a great Hindu monk and a devoted saint of India was born on 12th January 1863. According to the Hindi calendar, he was born on Krishna Paksha Saptam after seven days of Paush Purnima. His place of birth is Calcutta, Bengal Presidency now it is known as Kolkata in West Bengal. In the year 1984, the government of India has taken the decision to celebrate the birthday of great soul Swami Vivekananda as National Youth Day every year. 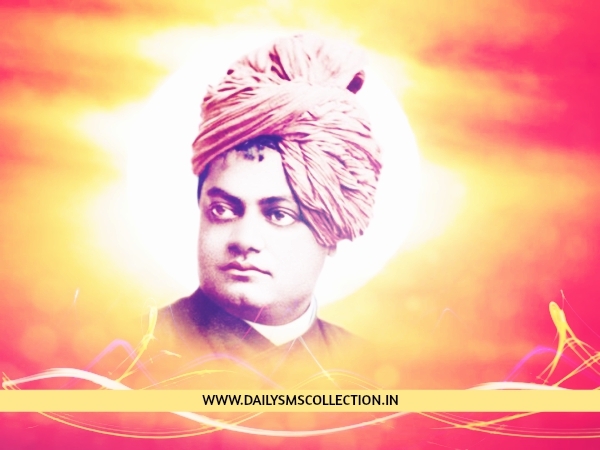 The main purpose of this day is to realize that the philosophy of Swamiji and the ideals of his life and work could be a great source of inspiration for the Youth of India. This even starts for two days for all the age groups people and organized by the Mission Bhartiyam in UP. The event includes a dozen of activities and named as Basti Yuva Mahotsav. This is celebrated by the government, non-profit and corporate groups in their own way. This event is celebrated starts with early morning with Pooja of Holy Mother Sri Sarada Devi, Sri Ramakrishna, Swami Vivekananda and Swami Ramakrishnanada. The great hoom is performed after this Pooja by Monks and devotees. The devotees offer Pushpanjali and aarti to the statue of Swamiji. The ceremony ends with the distribution of Prasad. Swami Vivekananda’s was known in his pre-monastic life as Narender Nath Datta. The father of Swami Vivekananda was a successful attorney with interests in a wide range of subjects and the mother of Bhuvaneshwari Devi was endowed with deep devotion, moral character and various qualities. Swami Vivekananda has influenced the people in the 20th Century. The youngsters in the 21st century also know about him. The Prime Minister of India Mr. Narender Modi has also mentioned that his life is influenced by Vivekananda. People of India know and believe that Swami Ji was born into a rich family. But the fact is that he was born in a rich family but after the death of his father his family became very poor. He used to skip the food at home and tell his mother that he is having some invitation. He just comes out of the home by saying a lie so that others would get more food. Swami Vivekananda was known as intelligent but actually, he scored only 56% marks in his Bachelor of Arts exam. The family history of Vivekananda has a history of committing suicide. The sister of Swami Vivekananda committed suicide. Women Not Allowed To Monastery: No women are allowed including the mother of Swami Vivekananda is allowed to the monastery. Exemption From the Extra Tax: Vivekananda used to serve tea at his monastery despite being opposed by Hindu Pandits. The local authorities levied an extra tax on the monastery to claim that they have a private garden which serves tea. Swami Ji filed a case in the court against this decision and won it to be exempted from the extra tax. Friend of Lokmanya Bal Gangadhar Tilak: Swami Vivekananda was the close friend of Bal Gangadhar Tilak and once he convinced Tilak to make and take tea with him. Simple Food Choice: Vivekananda loves to have Khichdi and it was regularly served in his monastery. Vivekananda had various diseases such as a Migraine, Tonsillitis, Insomnia, Back Pain, Lack of vision in right eye, Liver problems, Diabetes, Kidney problems, Heart Diseases, Dyspepsia, Chronic fever and much more. Vivekananda always forecasts about his life he will not live until 40 years of age and died at 39. Swami Vivekananda Movie: Swami Vivekananda is a 1998 Indian biographical film directed by G. V. Iyer and produced by T. Subbarami Reddy. It took Iyer 11 years to finish the research work required for the film and to write the screenplay.